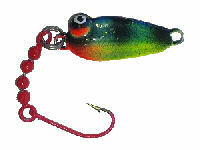 Welcome to Maynards Tackle website. Our main goal is to make you feel as comfortable as possible while shopping from our online store or catalog, so we have taken numerous precautions to guard your security. Our Commitment To Privacy: Your privacy is extremely important to us. To better protect your privacy, we provide this notice explaining our online information practices and the choices you can make about the way your information is collected and used. This policy may be revised from time to time, and the date of the most recent revision can be found at the top of this page. The Information We Collect: This notice applies to all information collected or submitted via the Maynards Tackle website. On some pages of the website, you can order products, make requests, and register to receive materials. When you do this, we collect the information you provide in order to assist you. This may include information such as Name, Address, Email Address, Phone Number, and/or Credit or Debit Card Information. On some pages, you can also submit information about other people. For example, if you order a gift online and want it sent directly to the recipient, you will need to submit the recipient's address. We also collect non-identifying and aggregate information to better design and make our website more pleasurable. For example, we may tell a Maynards affiliate that a certain number of individuals visited a certain area on our website or that a certain number of individuals made a purchase from a certain region of the country, but we will not disclose anything that could be used to identify those individuals. The Way We Use Information: The information we collect is used to provide the products and services that you have requested or that we think you might have interest in. It is also used to improve the content of our Web site, to notify you of problems with your requests, or to update you about changes to our Web site. We use return email addresses to answer the email we receive. Such addresses are not used for any other purposes and are not shared with outside parties. You can register with our website if you would like to receive updates on our new products, services, and new releases. Finally, we will not use the personally identifiable information provided to us online in ways unrelated to the ones described above without also providing you an opportunity to opt-out or otherwise prohibit such un-related uses. We will share your information as needed to fulfill your requests (such as by providing your credit card number to the company that processes the transaction or giving your address to the service that will deliver your order). Tell A Friend: If you choose to use our referral service on the "Tell A Friend" section of our site to email a friend, we will ask you for both your email and your friends. We will automatically send that person a one-time email inviting them to visit the site. We do not store the email address or any information included and it is only used for the sole purpose of sending this one-time email. Our Commitment To Data Security: To help protect against unauthorized access, maintain data accuracy, and ensure the correct use of information, we have put in place physical, electronic, and managerial procedures to safeguard and secure the information we collect online. By using this website you agree to the terms of this Policy. If you do not agree to these terms, you are prohibited from using this website. You acknowledge that the Policy is subject to modification and that your continued use of the site constitutes agreement with the then-current terms of the Policy. Please note that we cannot be responsible for the actions of third parties who may attempt to capture your information when you transmit it to us. While we provide for secure, encrypted transactions, your internet connection could be compromised before we receive the data. You can help us keep your information safe by taking precautions such as changing your password periodically and logging out of our website when you leave your computer unattended. We take numerous steps to safeguard your personal information, but we cannot guarantee that your information will never be disclosed in a manner inconsistent with this Policy. You hereby release us from any and all claims related to the use of intercepted information or information which is obtained in an unauthorized manner. If you link from our website to an outside website, we are not responsible for the contents of those websites and have no control over what information they may or may not collect from you. We will not sell or rent your information to other marketers. This information would only be disclosed to a third party (other than as described herein) if that party purchased all of the assets of Maynards Tackle. We may disclose your personal information when required to do so by a government agency or a court of law, or when relevant to bringing or defending a legal claim. We may also disclose the information to prevent fraud or enforce the terms of this agreement. Our websites use a variety of technologies to gather information. Along with most other e-commerce websites, we use "cookies" to remember you when you visit the website. Cookies are small pieces of text or data files, stored by your web browser or computer, that contain settings, shopping cart data, user settings, and other information that aids in your shopping and viewing experience on our website. Although most browsers allow you to reject cookies, our shopping cart will not function properly without cookies being activated. We may also use other technologies to better understand the website's traffic patterns. This information may include a user's Internet Protocol (IP) address, referring/exit pages, operating system, clickstream data, date and time stamp, and browser type. Most of this information is not linked to any individual user. You agree that any damages resulting from any breach of this Policy shall be limited to the total value of all goods you have purchased via this website in the preceding 12 months. You agree that by using this website you do not obtain ownership rights in any of the website's text, design, code, graphics or any other aspect of its content. You acknowledge Maynards Tackle? intellectual property rights in the same and agree not to copy or reproduce any component of the website in any medium (or use any framing techniques to display any aspect of the website) without the advance, written permission of Maynards Tackle. Maynards Tackle has created, commissioned or licensed all aspects of this website and possesses copyright, trademark and/or other intellectual property rights in the website and its contents. You are given a limited license to use the website in accordance with this Policy. Any unauthorized use is strictly prohibited. Your limited license to use the website is not a grant of any interest or broader license in any trademarks or copyrighted material appearing on the website. If you believe that this website infringes on your intellectual property in any way, please notify us immediately. You agree not to attempt to gain unauthorized access to any portion of the website or to circumvent any of the website?s security features. You agree not to take any actions that would interfere with the website?s operations or the operations of its affiliated networks. You agree that you are at least 14 years of age and that, if you are under 18 years of age, you have been given permission by a parent or guardian to access the website. We do not knowingly collect any personal information from visitors under the age of 14. If you are a parent and you discover that your child under the age of 14 provided personal information to us, please let us know and we will delete that information from our files. You may not use the website to break any law. If your actions using the website cause harm to Maynards Tackle or any third party, you hereby agree to indemnify Maynards Tackle, its employees, agents, directors, subsidiaries and affiliates, from any and all claims, losses, and damages including attorney's fees. You agree to keep confidential your password for accessing the website and agree to notify Maynards Tackle if your account has been compromised. Notwithstanding this obligation, you remain liable for any purchases made using your account. If Maynards Tackle believes you have violated this Policy, it may disclose information it has gathered about you if such disclosure will aid in an investigation or complaint related to your use of the website. Maynards Tackle may also disclose your personal information if necessary to prevent injury to or interference with the website based on your actions or the actions of a third party. You agree that Maynards Tackle has no obligation to allow you to use the website and that your access may be denied at any time for any reason. Placing an item in your shopping cart does not lock in the price on that item. While Maynards Tackle strives to maintain the website such that your shopping cart is preserved for future visits, Maynards Tackle cannot offer a guarantee in this regard. If you ever upload any material to the website or post any comments on the website, you represent and warrant that such content and posts will comply with all laws and regulations, will not contain any obscenities or foul language, will not infringe on the intellectual property rights of any third parties, and will not defame anyone. Maynards Tackle has the right, but not the obligation, to review and/or remove any user posted material. Any ideas or suggestions you submit through the website will be deemed non-proprietary and will become the property of Maynards Tackle with no compensation of any kind due to you for any use by Maynards Tackle including, without limitation, the reposting or display of such commentary. By submitting information to Maynards Tackle and/or its affiliates, you acknowledge that Maynards Tackle may use that information for commercial and non-commercial purposes and you represent and warrant that you have the ability to lawfully grant Maynards Tackle all rights in your submission. You represent and warrant that you have the necessary rights to upload or post the content you submit to the website and indemnify Maynards Tackle and its agents and affiliates from any harm that may result from your uploading or posting of content and/or any harm to the intellectual property rights of others based on Maynards Tackle use of the content or idea. Your use of this website is at your own risk. Maynards Tackle offers no representations as to the completeness, timeliness, or accuracy of this website (including, but not limited to product descriptions or pricing) or representations to the percentage or length of time the website will be available for public access. Maynards Tackle has no duty to update or maintain this website. We assume no responsibility, and shall not be liable for, any damages to your computer, telecommunications device, or other property or equipment caused by or arising from your access to, use of, or browsing this website or your downloading of any materials, from this website, whether or not the damage is caused by a virus, malicious actions of a third party, ordinary operations, or any other source of harm. UNDER NO CIRCUMSTANCES WILL MAYNARDS TACKLE, ITS EMPLOYEES, OFFICERS, DIRECTORS, AGENTS, AFFILIATES, SHAREHOLDERS, PARENT COMPANIES, SUCCESSORS, ASSIGNS, VENDORS, OR PARTNERS BE LIABLE TO ANY PARTY FOR ANY INDIRECT, PUNITIVE, EXEMPLARY OR CONSEQUENTIAL DAMAGES (INCLUDING BUT NOT LIMITED TO LOST PROFITS, LOST DATA, OR INTERRUPTION OF BUSINESS ACTIVITIES) WHETHER OR NOT NOTICE OF THE POSSIBILITY OF SUCH DAMAGES HAS BEEN PROVIDED, AND WHETHER THE CLAIM OR ACTION IS BASED ON CONTRACT, WARRANTY, TORT, OR ANY OTHER LEGAL THEORY. ANY PROVISION IN THIS AGREEMENT THAT IS NOT IN COMPLIANCE WITH THE LAWS APPLIED TO A PARTICULAR MATTER SHALL BE DEEMED STRICKEN AND THE REMAINDER OF THE DOCUMENT SHALL REMAIN IN FULL FORCE AND EFFECT. In the event that you violate this Policy, you agree that Maynards Tackle will be subjected to irreparable harm and is entitled to injunctive relief without the posting of a bond. This remedy is in addition to any other remedy in law or equity. If Maynards Tackle does take legal action against you, you agree to pay all attorney's fees and costs of such action. If any of aspect of this Policy is deemed invalid, void, or for any reason unenforceable, that condition shall be deemed severable and shall not affect the validity and enforceability of any remaining term.